Nail trends have become an integral part of Fashion Week coverage. 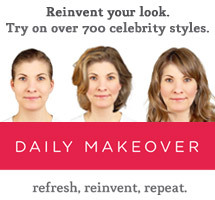 Nail art has never been more prominent or popular on the red carpet than now with superstars like Rihanna, Katy Perry, and Fergie sporting outrageous, over the top styles at all times. 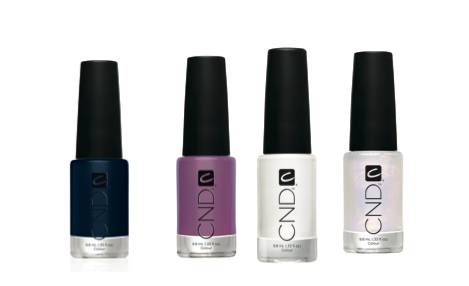 Check out some of the latest styles you'll be seeing this fall from CND. CND is a nail art pioneer and has created some of the most recognizable nail trends for over twenty years. They're dishing on the Fashion Week nail art they've been creating for the fabulous fall collections. At Naeem Khan CND created blood-red burgundy nails (CND Colour in Bloodline) that popped against the neutral black, white, cream and gold color scheme of the collection. 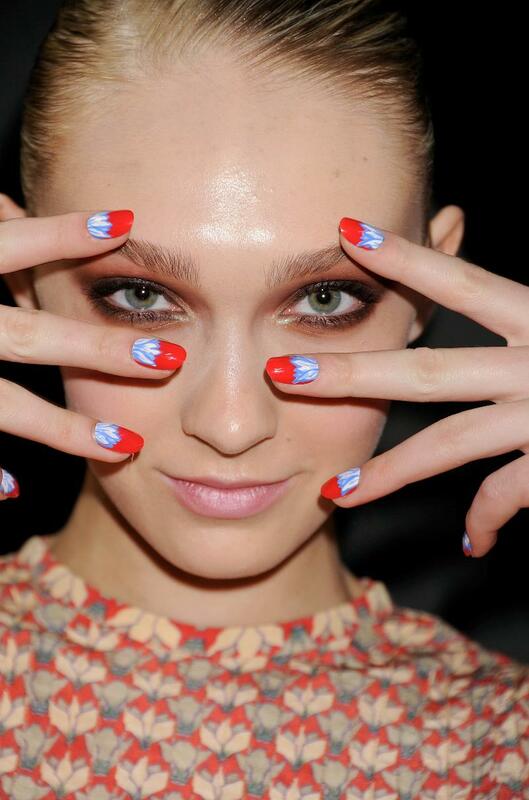 The nails at Nicole Miller showcased the whimsical collection. 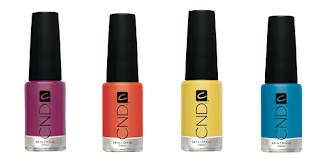 CND created "Time Machine" nails that were trippy and hypnotic in swirls of bright color. Shades such as Plumville, Electric Orange, Bicycle Yellow, and Anchor Blue were used and created with tiny detailing brushes. 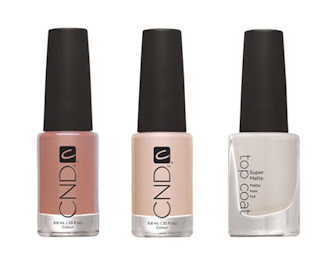 At Rachel Antonoff CND created three playful nail themes to reflect the collection which was designed for a girl with a sense of adventure. 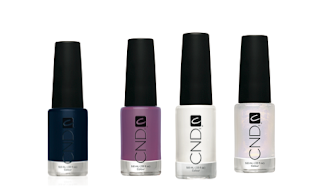 "Starry Night" evoked a midnight blue sky over a lake with two coats of CND Colour in Midnight Sapphire with sponged overlay of Eclectic Purple and Studio White and a coat of CND Effects in Sapphire Sparkle. 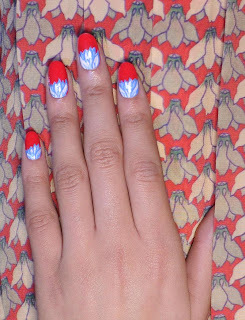 CND also created "Flirty Flower" for Antonoff with two coats of bold red in Flashpoint and hand detailed ferns using Brilliant White and Anchor Blue. Finally CND created a bold "True Red" style with two coats of Flashpoint. 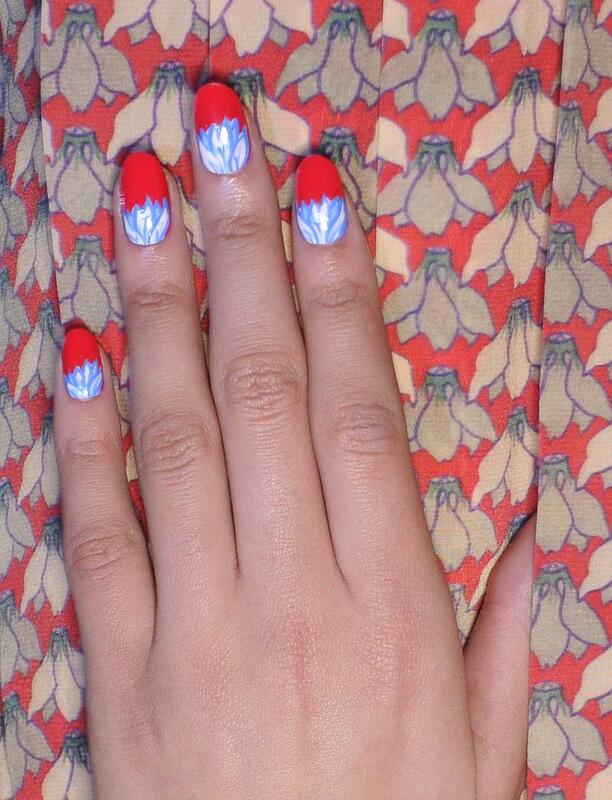 At Christian Cota CND created a "Terra Cotta" manicure to accessorize the bold, Mexican-inspired patterns. 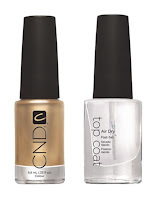 An ombre effect was created using CND Colour in Milk Chocolate and Putty. To do it yourself, take a sponge and apply Milk Chocolate from the cuticle to halfway down the nail and Putty from halfway to the nail end. Use CND Super Matte Top Coat to blend both colors while still wet. the gold shadow and metallic pieces.